These two beauty products from Benecos have been my favorites these past few weeks. 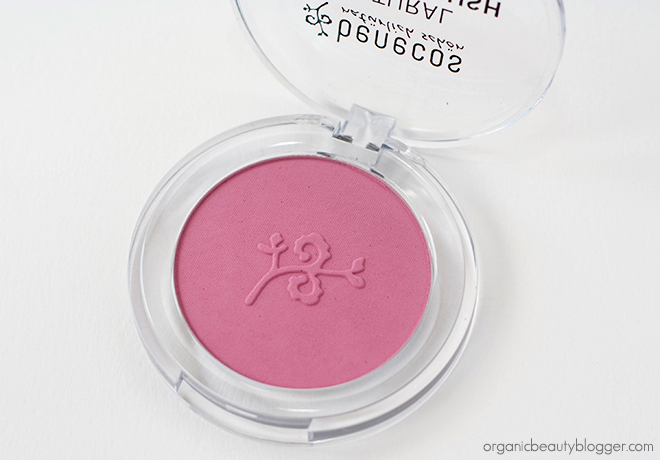 Benecos Natural Powder Blush in Mallow Rose is a well-pigmented matte pink color. Not Barbie pink, but more like medium dusty pink with a cool/neutral undertone. The packaging is a simple, clear recyclable plastic box. Talc, Mica, Kaolin, Caprylic/Capric Triglyceride, Macadamia Ternifolia Seed Oil*, Ricinus Communis Seed Oil*, Magnesium Stearate, Glyceryl Caprylate, P-anisic Acid*, Tocopherol*, Helianthus Annuus Seed Oil*, [+/- (May contain) CI 77891, CI 77491, CI 77492, CI 77499, CI 77742, CI 75470, Tin Oxide]. * Certified Organic. ** Natural Fragrance. BDIH Certified. Benecos Nail Polish in My Secret is another lovely product from this brand. Benecos nail polish is 5-free and vegan. Color My Secret is a deep pink, more towards plum, with a shiny finish. This is not a long-lasting nail polish, it stays for two or so days until chipping. However, the color is beautiful, and Benecos has even more lovely colors in the range. The price for the 9 ml bottle is approx $12/£7. Both of these products can be found at True Natural or any other Benecos stockist available in your country. 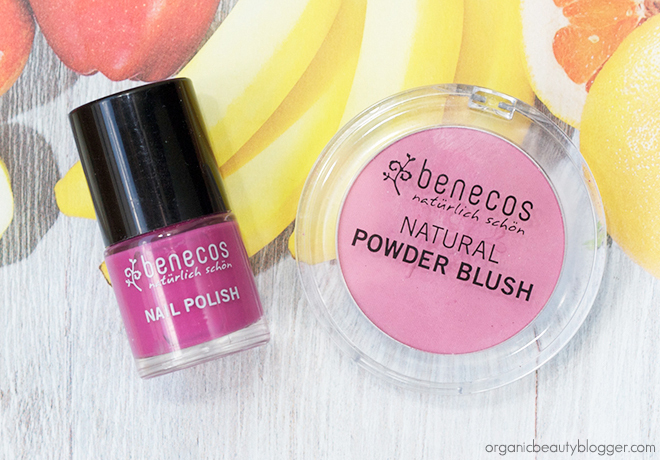 Have you tried Benecos cosmetics? It’s gorgeous, really 🙂 You have a good point here, I think I should start mentioning if products contain carmine.